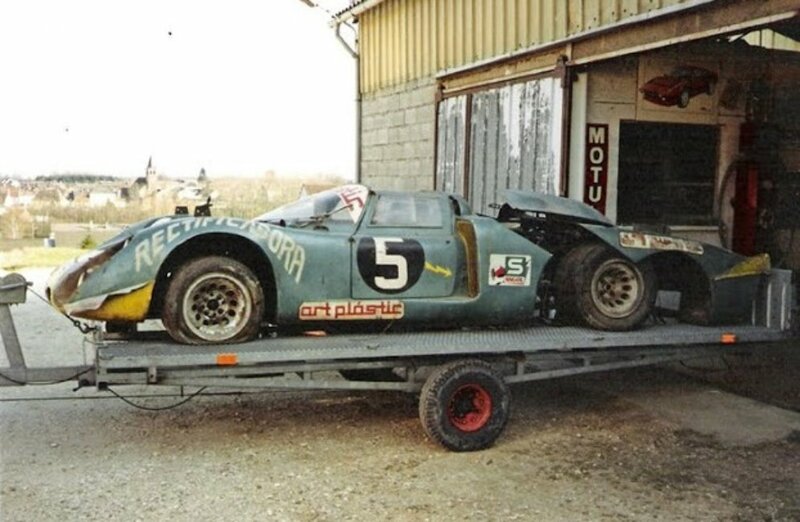 Early in the 90's there was a barnfind of an Alfa 33-2 in Angola. It apeared to be chassis 033015. When I remember right it was an Autodelta car earlier raced by Vaccarrela in the Targa Florio. Once I have seen an article on it in Classics & Sportscar but can't find it any more. Is there any one who can help me with the story of this car? Was it auctioned in 1994 in England? Last but not least, Congratulations AlfaBB !!! Lots of success! I remember reading about this car many moons ago. It was a factory Sport-Prototype, built in 1968. Powered by a 2.5ltr V8, it ran Targa Florio, Nuremburg and was even raced by Mario Andretti at Daytona in 1968. It was eventually shipped off to run endurance races in South Africa, Rhodesia and Angolla where it was found as a rusting hulk in 1986. The car was shipped to Italy and given a complete restoration and was indeed auctioned in England to a man named Jean Francois Bentz (I am pretty sure about the name but I have been wrong before.) If memory serves, this guy Bentz was involved with the car somehow originally, he designed part of it? or something. Please tell us more about your book! Is it the Bizzarrini book: The Man Behind Ferrari's Success? Thanks for your reply. Only this way we can get the story a little bit straight I think. Somehow I have my doupts about this story for I can't imagine that normal thinking people are damaging a historic, valuable, car this way. I know the 'Angola 33' was in the bodyshop of Giordanengo in Cuneo before it was 'restored'. Would he have been that crazy to paint it in those silly colours? When I find out how to do it attach a picture. Where can we get a copy of your book? Sounds very interesting. 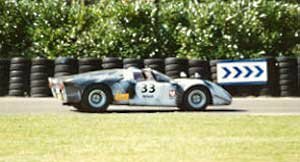 "1968 Daytona Andretti/Bianchi .De Adamich 2500 cc engine.Angola racing car 1994 London Auction need full restoration We have the history"
Thanks for your interest in my Bizzarrini book. Price is Euro or US$ 75,-- P&P excluded. Thanks for the tip Alfaspider. I know classicscars.com but I don't like their habit to write 'we know the story'. I can't understand when one publishes a so called 'register' why don't they share all the relevant info they have? hi to all in this nice and new forum. And of course special greets to my friend Jack! 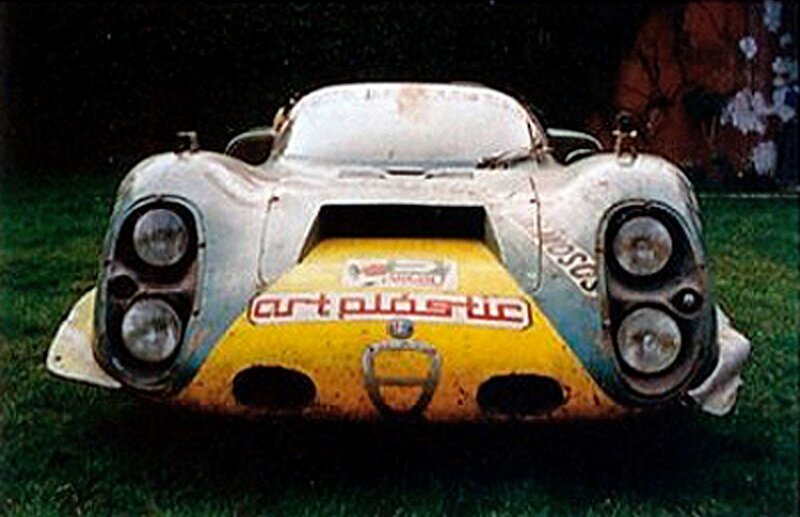 I was just going thru a few old post and was wondering if you ever found your info on the Alfa 33-2 find in Angola? Sorry, but no. I am still very interested in the car as I am interested in other Angola GP details. Being the author of the Bizzarrini book, sorry no Alfa, I know Pierre de Siebenthal drove a Bizzarrini Corsa in the 1965 Angola GP. I know the car didn't finish but I can't find any details on ths GP. In that case we don't bother the Alfisti with this Bizza stuff. The reason I was asking is because I saw a picture of the same car while scouring the internet. Im not sure what the text says but I do recognize that paint job. Thanks for the URL's. I still don't like the new colors they gave the car. In my view, it would have been better when they used the old colors. Hello all. Off-topic and on the off-chance you may have uploaded video interviews with Giotto Bizzarini, could you pls post link to YouTube or other? I saw very few interviews for him with english sub-titles and for some reason the youngish generation like David Cirioni & the like don't seem impressed (or haven't managed to impress the old man), but the man is in his nineties and one of the few living witnesses on a unique era in automotive history and can fill manny gaps in our knowledge of what went on with what went on around Modena, Arese, Turin) and with people in the lime lights (Enzo, Chitti, Dallara, Gandini...) and others not so much in the lime light but who greatly impacted that era (like Bizzarini himself and, my personal favorite, il-Maggio, Virgilio Conrero). Last edited by sbadaro; 03-27-2019 at 04:11 AM. 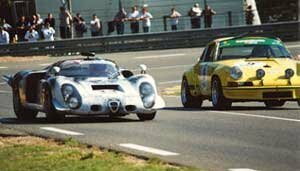 At the 2002 LeMans Classic, he drove this very 33/2. "Jean-Francois Bentz and co-drivers Poulain and Meyners shared this Alfa T33/2. The remarkable paint scheme by Bettina Reims got lots of attention, but groans from the purists. Here it passes a Porsche on the exit of Indianapolis." This is a google translation from Portuguese from the Jornal Dos Classicos, 1996. 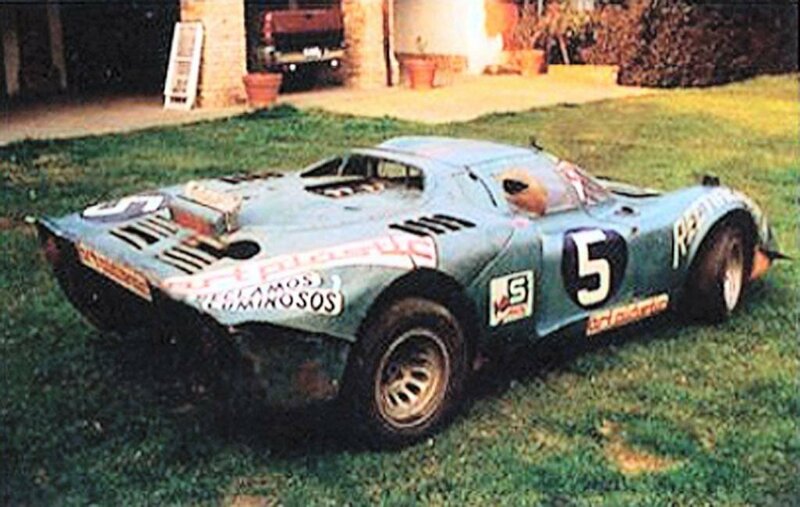 "The Alfa Romeo 33/2 that was buried in Angola to escape the war"
"The Alfa Romeo 33/2 # 0015, better known by the "33 of Peixinho", is born with a 2-liter engine in the 24 hours of Daytona in 1968. From the Targa Florio, where it runs with No. 220, the first V8 2.5 liter. Dispute the world championship with the colors of the Autodelta. Subsequently the VDS (Belgian Team) is sold in 1969, the year in which it is piloted by Teddy Pillete. "The following year António Peixinho and Socoina, an importer of Alfa Romeo for Angola, bought it and with him he raced in different tests during the 70's, where he became famous. Later it was acquired by Santos Pears. After independence, the "33" was in Angola and with the problems inherent to the war installed, to protect the car is practically left behind in a wooden box buried in a backyard of a villa for about 20 years. This "camouflage" allowed the 33/2 survived the violent war of Angola and that later was recovered. "When someone informs Jean-François Chambault of his existence in Angola, he begins a search for the same one that lasts for months. 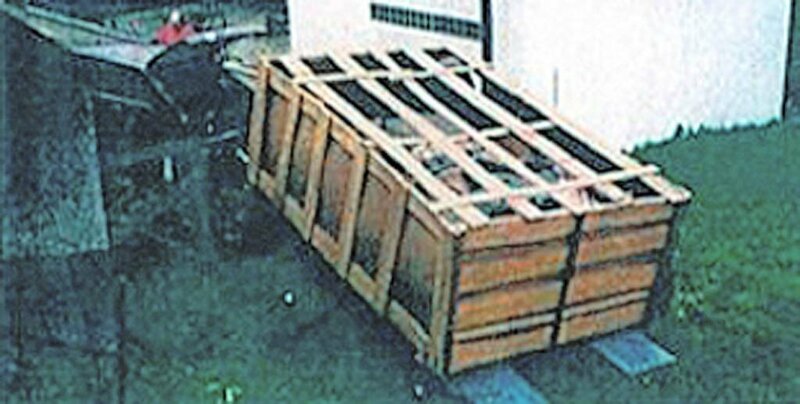 The Alfa Romeo 33/2 is finally found in late 1983 inside the wooden crate, with a "Piton" snake inside the warehouse, a story that has become almost mythological around this automobile. "He returns to Europe in 1986, remaining in the state where he was found until 1994, the year in which he began to be restored by Giordano and Massimo Gambi, old acquaintances of Autodelta, thus making a return home after the troubled African adventure. "From 2000 onwards it became the property of Franco Meiners, having been prepared in France by Francis Trichet." "SPECTACULAR. I saw this "bólide" race in Angola, with Peixinho at the wheel, in the 6 Hours International of New Lisbon." Last edited by Vivace; 03-27-2019 at 03:10 PM.